The desk of chartering team never goes to rest. The active ship brokers always perform day and night to get the fixture on time and provide the charterer with satisfactory results. Ship brokers are actively engage in fixing cargoes originated at various major and minor ports in India. Charterers are always welcome to contact the brokers online with the details of their cargo and ship brokers maintain complete transparency for arranging suitable cargo ship for charterer’s / shippers dry bulk cargoes. Dry bulk brokering services are made available through experienced and professional team who are not limited to fixing vessel for the cargo and brokerage, but also provide other services like sea freight calculation along with assisting the charterers to get best shipping services on cheap freight options. The result oriented team of brokers provides the customers, ship owners, cargo owners with satisfactory results in terms of fixing the cargo ship for dry bulk cargoes. The professional knowledge of the ship brokers makes them work on confidential basis and helping the shippers with vessel matching laycan. Facilities such as negotiating sea freight, cargo handling at port etc are also taken care and proper required assistance is provided. 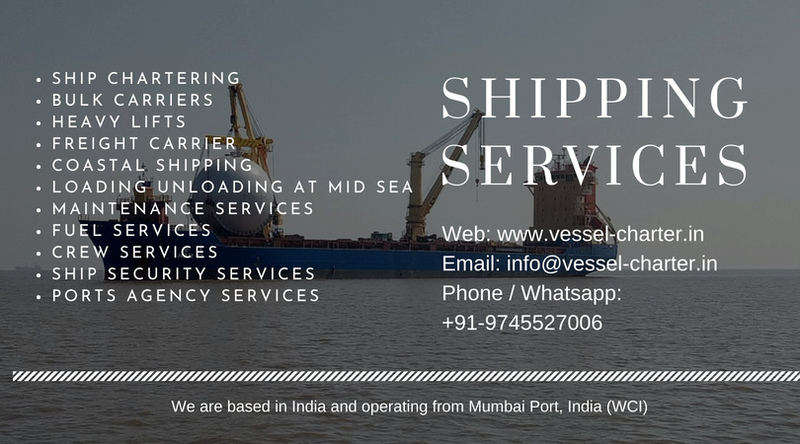 Vessel are located and arranged for charterer’s cargo keeping in mind the loading and discharge requirements with the provided freight idea of charterer / shipper.